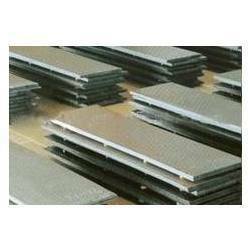 Nandishwar Steel supply all kinds of steel sheets. Our range of stainless steel sheets include high speed steel sheet, alloy steel sheet, s.s. sheets, mild steel sheet, carbon steel sheet. The products that we offer possess great durability, absolute reliability and high tensile strength. These find application in engineering applications. 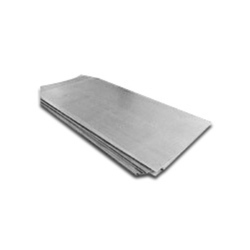 We offer Stainless Steel Sheets to our valuable customers. 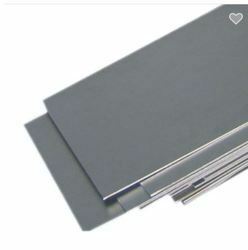 These Stainless Steel Sheets are offered according to the client's requirement. Keeping in mind the diverse requirements of the clients, we offer an exceptional range of Nickel Alloy Plates which is sturdy in construction and dimensionally accurate in nature. Our entire product range is acclaimed among the clients for high strength, durable finishing standards and wide industrial applications. We offer them in technical and standard dimensions as per clients demand and delivered in well-defined time. Other Grade CRCA, Spring Steel, Silver Steel Etc. Sheet Finishing HR, CR Etc. Sheet & Plate in Form of Coils, Chequred Plate, Perforated Sheet, Strip, Blank (Circle), Ring (Flange), Flats, Angle, Channel, ‘T’, I Beam, Tray Etc. Value Added Service Heat Treatment, Anneling, Pickling, Electroplating, Anodising, Rolling, Cutting, Bending, Forging, Minor Fabrication Etc. Nandishwar steel provides an extensive range of High Speed Steel Sheet. 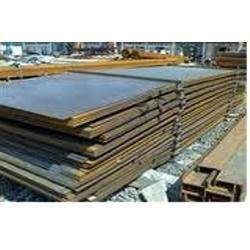 These High Speed Steel Sheet is offered by us in market at reasonable rates. Laboratory Test Certificate from Government Approved Lab. Nandishwar Steel Is A Titanium Supplier And Stocking Distributor, And Full Service Source Of Titanium Mill Products. We Supply Titanium Mill Products To The Metal Finishing Industries Including Aerospace, Architectural, Automotive, Biomedical, Chemical Processing, Industrial, Marine, Military, Oil, Tooling, Racing, And Others.